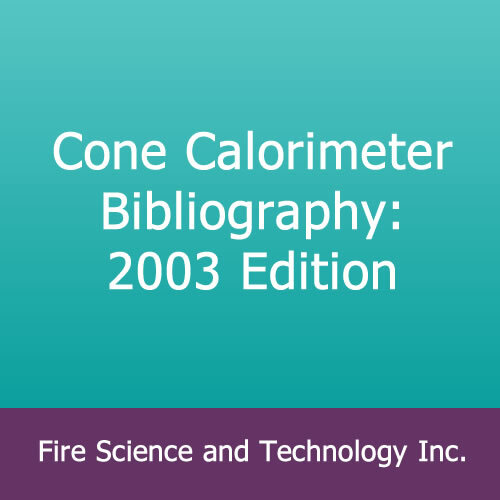 Cone Calorimeter Bibliography: 2003 Edition – Fire Science and Technology Inc.
Cone Calorimeter Bibliography: 2003 Edition. By Vytenis Babrauskas, Fire Science Publishers (2003). This annotated bibliography encompasses most articles, reports, and books published on Cone Calorimeter topics from 1980 through December 2002. Each item contains a brief abstract or summary providing the highlights of the item. 169 pages. Includes an index of authors. This is the first new edition of the Cone Calorimeter bibliography since the first edition, which was published by NIST in 1992.